a question about FRITZ 12 GUI. 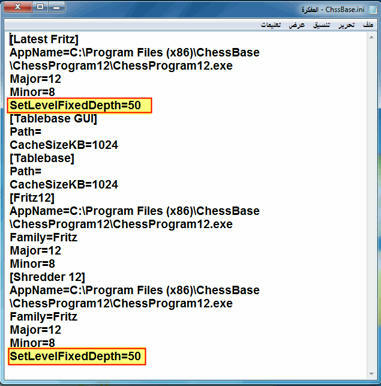 Chess2u » Computer Chess Software, GUIs » Free Chess Software » a question about FRITZ 12 GUI. 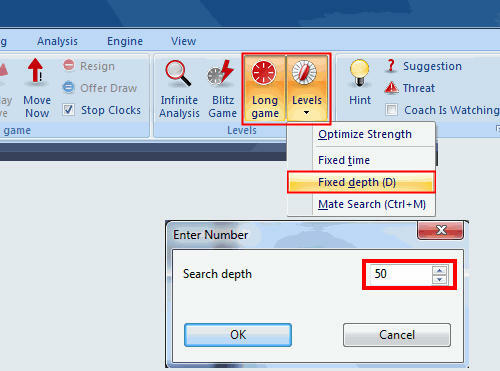 In section Levels, Fixed depth, could any people help me to setup what file to fix that depth to an X value and that each time i restart my pc and prog it saves automatically and permannetly that value??? Re: a question about FRITZ 12 GUI. Thx anyway. I guess i am moving on, first with your help; now, i guess someone else will arrive to help me with this particular issue if possible.